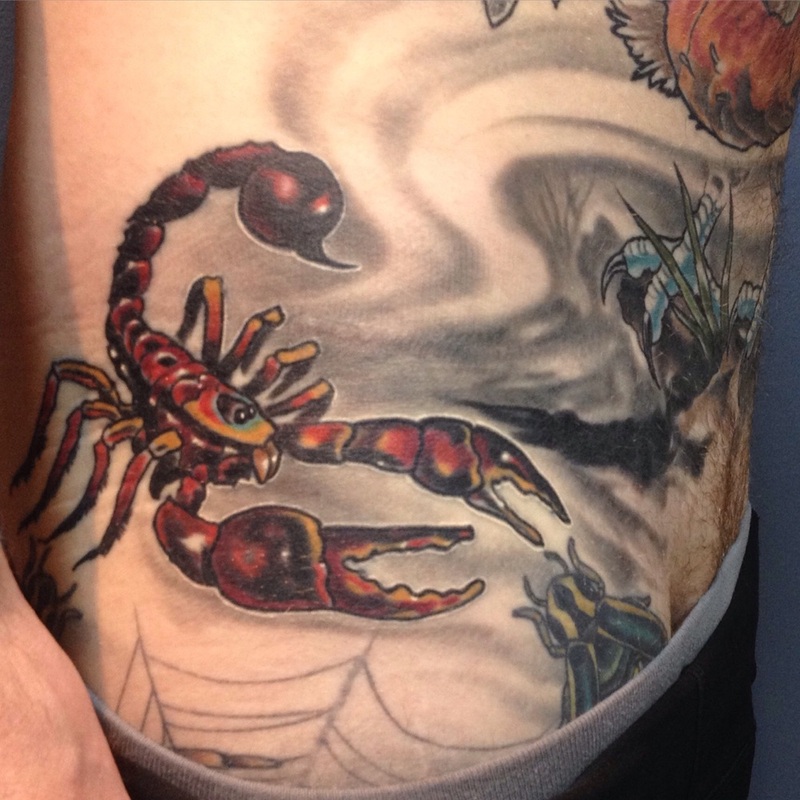 Healed picture of a scorpion I did a while ago. My new website is live. It is still a work in progress but my portfolio is up and contact form functions. Hopefully this makes it easier for people to reach me. In the future I hope to have t shirts and paintings for sale and occasional custom rings. Summer is off to a pretty good start so far. Work sometimes keeps me too busy to stop and enjoy it. Thankfully I have this guy to slow me down a little and show me how to appreciate simpler things in life. A constant reminder that adventure can be anywhere. Freestyle collaborating with one of my favorite artists. I have had a lot of people saying they can not reach me through my website. I am very sorry for the technological difficulties preventing me from receiving messages. Small skeleton filler. Looking forward to completing. Always a great time hanging with this guy.